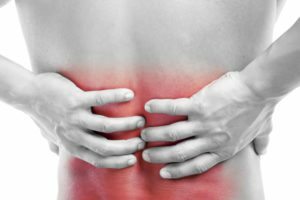 Quality Chiropractic Care in Aurora & Naperville, IL. Call now for a consultation. We guarantee that your family will receive the care and attention that they deserve. Dolan Family Chiropractic provides chiropractic care for the whole family! 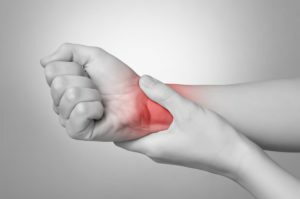 We specialize in treating a wide variety of aches and pains ranging from headaches, neck pain, low back pain, sciatica, and joint pain, to sports injuries like rotator cuff problems, shin splints, tennis elbow, and plantar fasciitis. We are also one of Aurora and Napervilles most certified chiropractic offices in treating pregnant patients and children, as we co-manage patients with many of the top pediatricians, obstetricians, and midwives in the area and even teach related classes at area hospitals. We are currently accepting new patients of all ages and look forward to helping you. 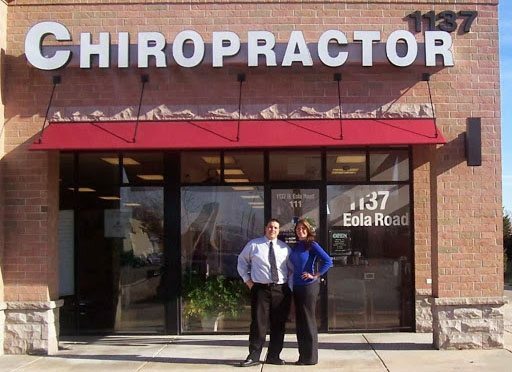 Dolan Family Chiropractic is located in Aurora, IL on the corner of Eola Road and Indian Trail/ North Aurora Road in the Jewel Shopping Center. Satisfied patients come from miles around as we serve the surrounding areas including Naperville, Lisle, Wheaton, Montgomery, and Yorkville. Dolan Family Chiropractic is a family-owned and operated office, headed by the husband and wife team of Drs Collin and Alorna Dolan. Both pride themselves on delivering the highest quality of care to every patient that walks in the door. Our ultimate goal is to get you back to living a healthy and pain-free life. In our office, we guarantee that your family will receive the care and attention that they deserve from our family. This is not a cookie cutter or chain chiropractic office where everyone gets the same treatment in a wide open room alongside other patients! Drs Collin and Alorna Dolan utilize state of the art chiropractic care, specifically tailored to your particular case. 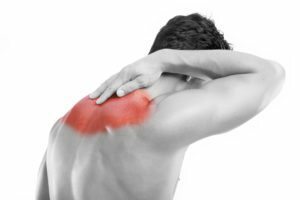 We use a combination of chiropractic adjustments, physical therapy, rehabilitation, stretching, home strengthening exercises, and massage work including trigger point therapy, myofascial release, and muscle therapy in each case. All of our treatments are personally delivered in the comfort of private treatment rooms by the doctors.